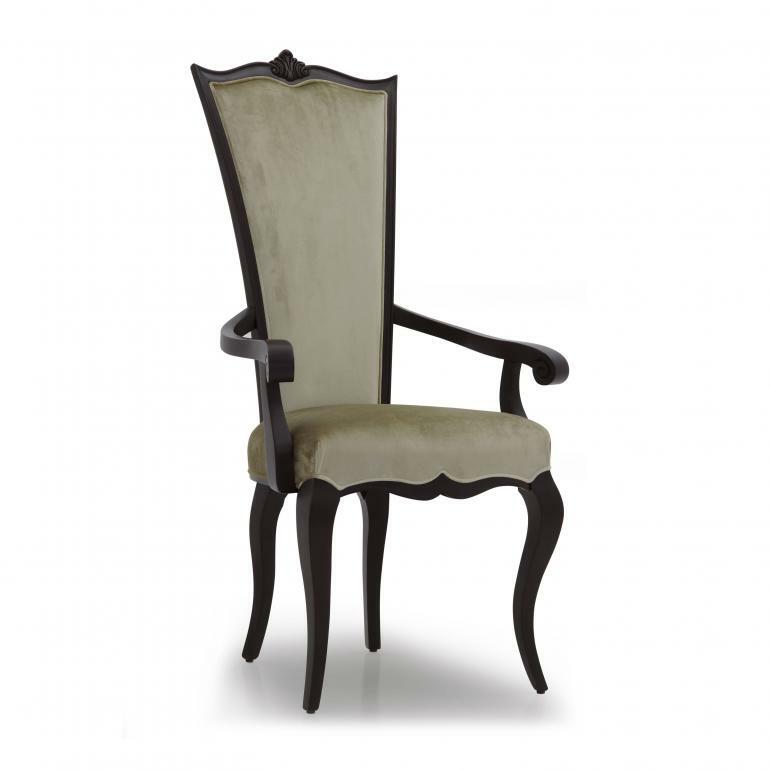 Elegant Classic style small armchair with beech wood structure and original sinuous lines. The distinguishing feature of this model is undoubtedly the height of the back that gives this product a regal and prominent look. The seat is padded with non-elastic webbing, three springs and superior quality foam. The upholstery is trimmed with matching or contrasting piping.